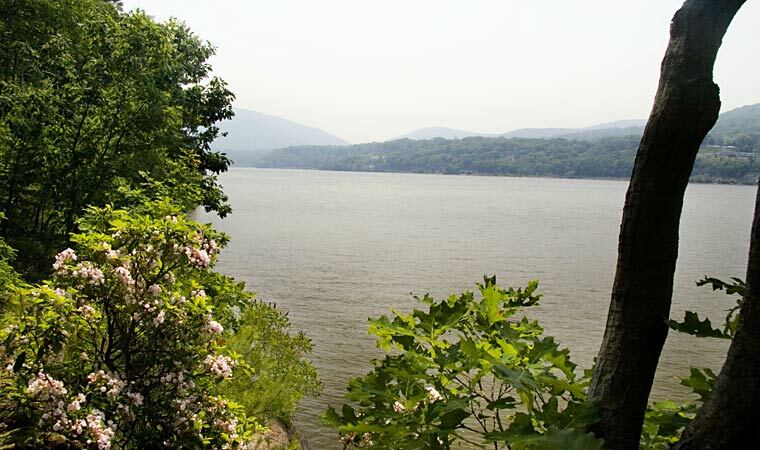 One of the Hudson River's great estates in the early 20th century, Manitou Point Preserve now allows all to experience the grandeur of the Hudson River and the surrounding Highlands. GARRISON, Putnam County (126 acres)—This rocky promontory originally was called Mystery Point, for reasons obscured in history. You don't need to be a detective to uncover the preserve's myriad treasures. From there, you can pick up hiking trails to explore more of the preserve's scenic and ecological wonders. These include Manitou Marsh, an important nursery for striped bass, and Copper Mine Brook, which features several small, picturesque cascades. But the most exciting trek hugs the Hudson shoreline atop dramatic rock outcroppings, affording with each step an ever-changing but always magnificent perspective of the river. PLEASE NOTE: Although this property is now privately owned, an agreement with the landowner allows for public access to the preserve and its trail network. Please respect the owner's privacy by paying attention to all signs and avoiding areas marked as private. 4 miles of trails, most narrow and rocky, traverse Manitou Point's rugged terrain, exploring Copper Mine Brook, Manitou Marsh and the rocky Hudson River shoreline. Manitou Point Preserve is managed by the Open Space Institute with trail maintenance performed by the New York-New Jersey Trail Conference. Year-round daily dawn to dusk. Allow a minimum of 2 hours. From Bear Mountain Bridge head 2 miles north on Route 9D, turn left Mystery Point Rd. Parking area and trailhead are on the left.